Sombra, a drug-sniffing dog who works with Colombia's police, was relocated after a criminal organization put a price on her head. 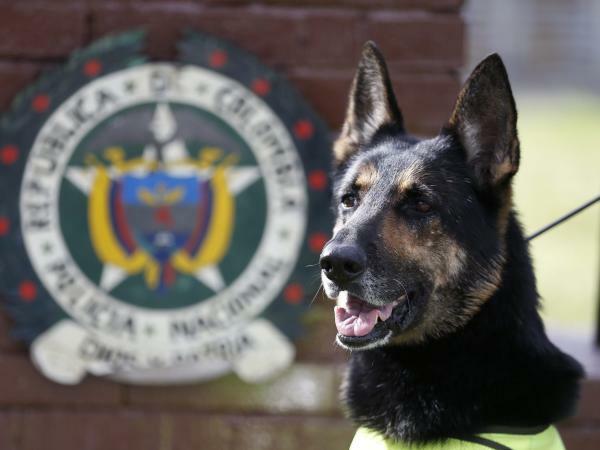 Sombra is a 6-year-old German shepherd who has been on Colombia's counter-narcotics police force since she was a puppy. And she is so good at her job that drug dealers want her dead. Sombra, Spanish for "shadow," was trained to sniff out drugs and has uncovered so many stashes of cocaine that one of the country's most powerful criminal organizations has put a price on her head. The Urabeños offered a bounty of up to 200 million Colombian pesos – nearly $70,000 — for the canine's life, Colombia's national police said last week. According to police officials, Sombra's work has led to the seizure of nine tons of cocaine and the arrest of 245 suspects. The anti-narcotic police tweeted that "in the last three years she became a torment of 'Otoniel,'" an alias for Dairo Antonio Úsuga, the leader of the Urabeños. She has found hidden cargo in parts of vehicles, banana boxes and an injection molding machine. 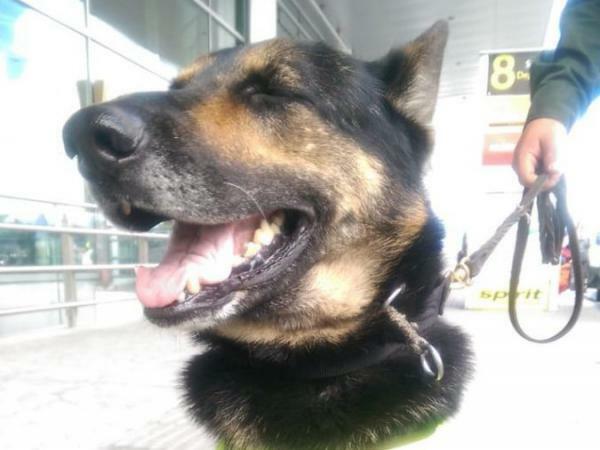 In response to the threats, Sombra was relocated from the port city of Turbo in northern Colombia to Bogota's El Dorado International Airport, where police hope that distance from the group's stronghold will keep her safe. "Sombra is a really friendly, calm dog," Oscar Favian Solarte, head of the anti-narcotics division, told El Tiempo. "So she has no problem with approaching kids or people who want to say hello to her. She is playful. In fact, during training this is part of her work — not just finding the caches of illicit drugs." The Urabeños is Colombia's most powerful criminal organization, according to InSight Crime. Its influence expanded across the country around 2012, as it gained control of drug production zones and corridors in the north to traffic materials. In 2016, the country's cocaine production reached the highest levels ever observed, according to the U.S. Drug Enforcement Agency. Colombia's cocaine accounted for about 92 percent of cocaine stashes seized in the United States that year. Sombra, El Tiempo reports, is expected to retire in two years.